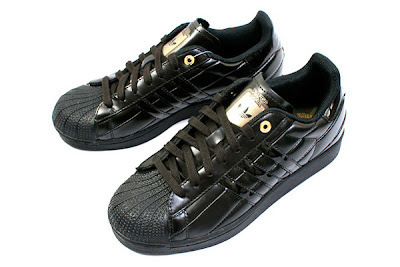 The trilogy of Star Wars was a success that even famous shoe company Adidas has incorporated Star Wars element into their products. 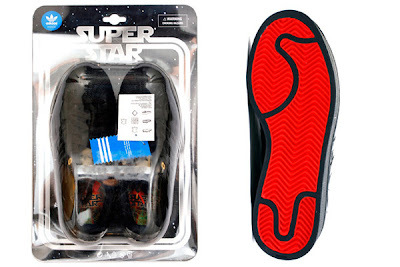 Introducing you these two pairs of shoes... Darth Vader and Master Yoda. And ahhh... dark side... Whenever you think of dark side, a red lightsaber is always there. 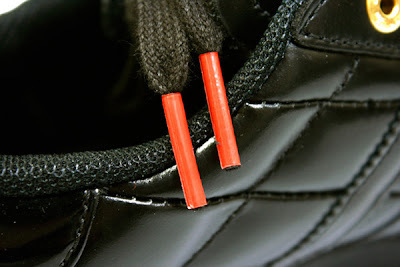 Therefore the tip of the shoe laces are red in color too. 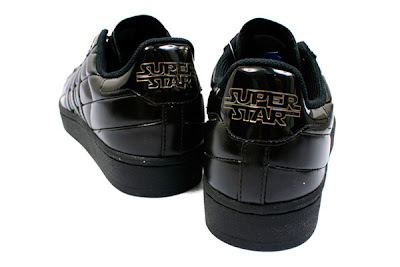 Question: Why wear Darth Vader? Answer: I hate you Darth Vader. I'm going to wear you everyday and by imagining that I'm stepping on you, it makes me feel good. 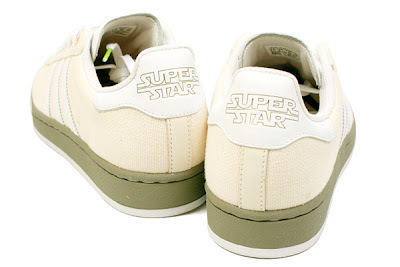 Personally I think Master Yoda is kinda hard to be incorporated into shoe design. 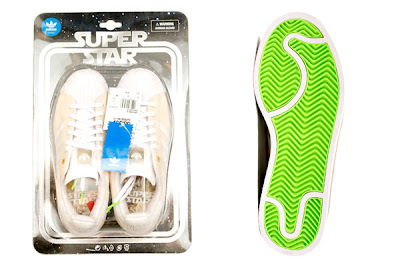 The first color I think of is green and I don't think many people will like shoe that looks like frog. 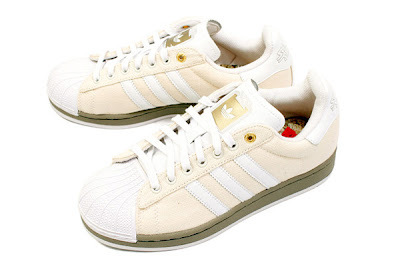 However Adidas made the shoe slightly pinkish. 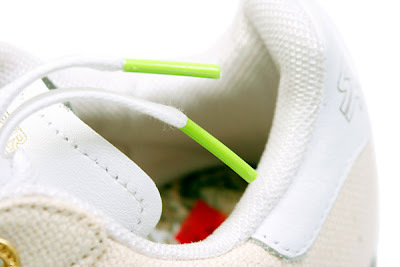 As for this shoe, the tip of the shoe laces are green in color in order to fit the green lightsaber of light side. Question: Why wear Master Yoda? Answer: I love you so much Master Yoda... I want to feel you everyday by wearing you every single moment. I love this picture so much as it looks like Master Yoda is battling Darth Vader with their respective lightsaber.